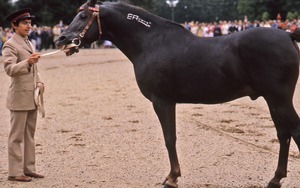 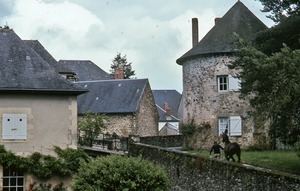 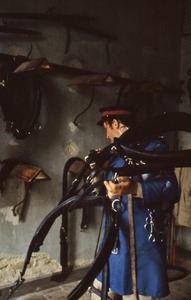 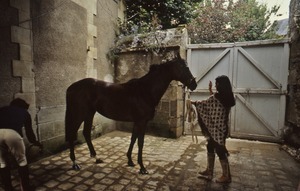 Arnac-Pompadour (France) - Man leads a horse at the national stud farm "Haras de Pompadour." 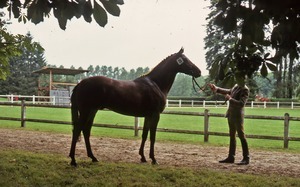 Arnac-Pompadour (France) - Arabian and trainer enjoy a light moment during the judging at the national stud farm "Haras de Pompadour." 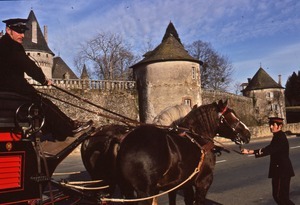 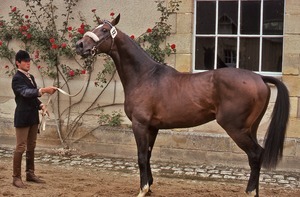 Arnac-Pompadour (France) - Coach out for a turn at the national stud farm "Haras de Pompadour." 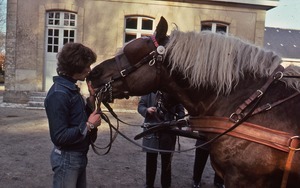 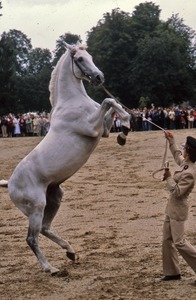 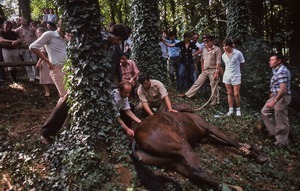 Arnac-Pompadour (France) - Trainer and her horse at the national stud farm "Haras de Pompadour."